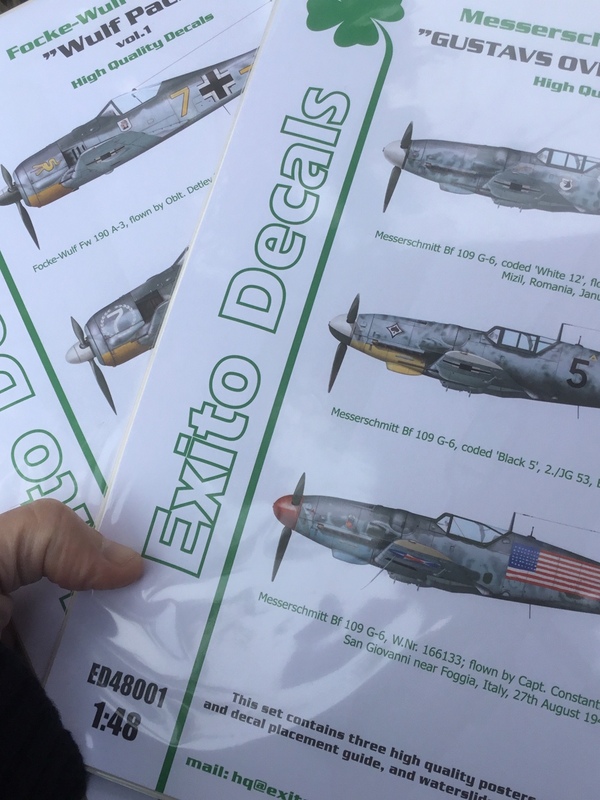 Exito Decals order arrived ! 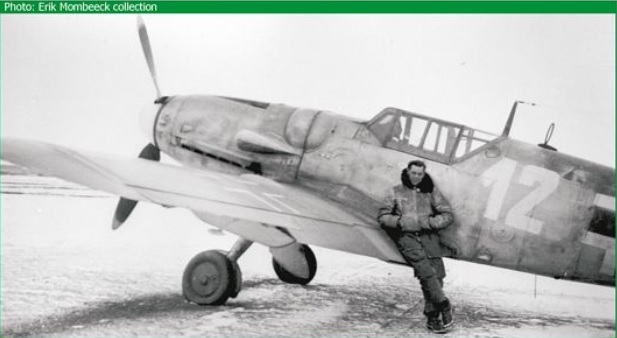 "Gustavs over the Balkans" and "Wulf Pack"
Exito Decals enters the market with two sets available both in 1/48 and 1/72 scale. 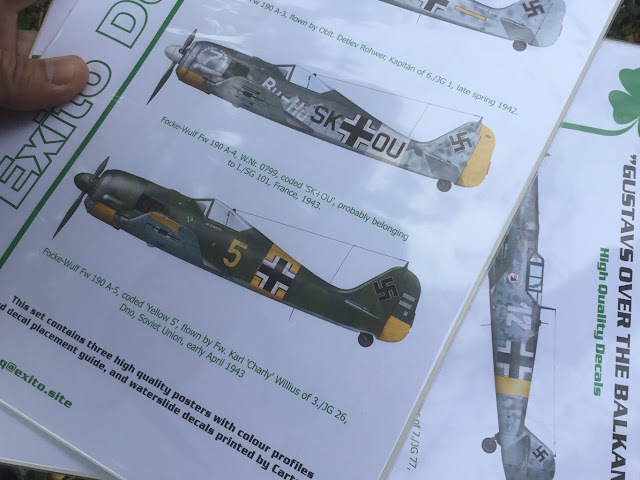 The decal sheets are printed by industry leader, Cartograf of Italy, which ensures top printing quality and ease of application. 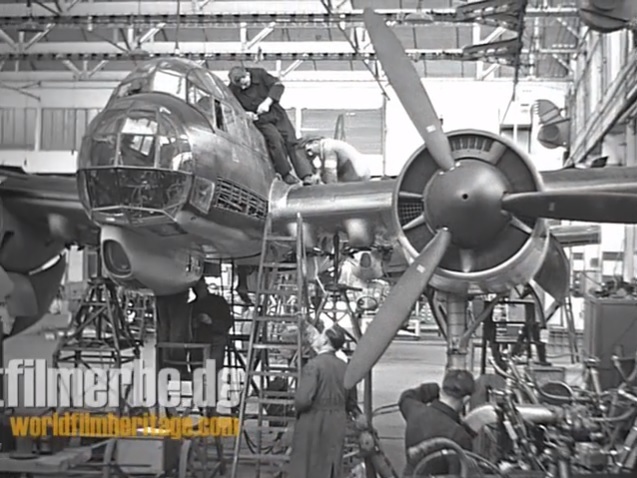 These are complemented by instructions that differ from the plain market standard. 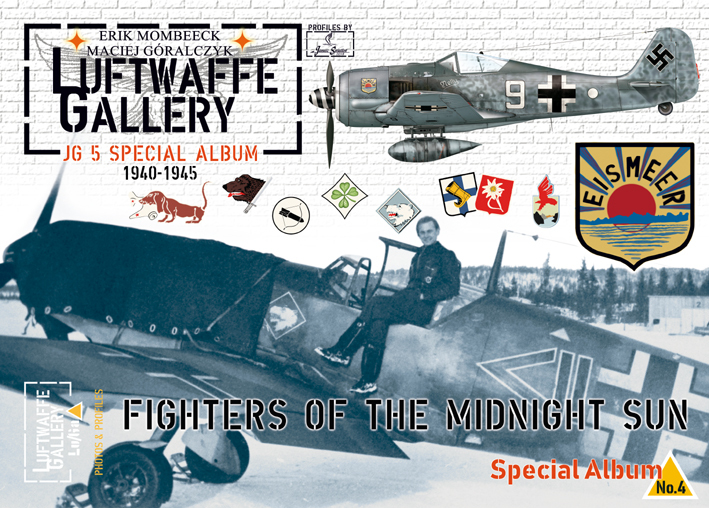 What you get are essentially high quality posters with accurate and inspiring illustrations created by Janusz Swiatlon. 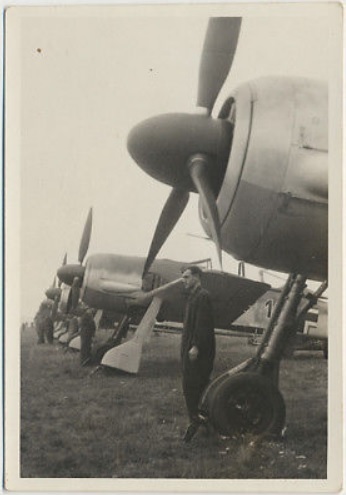 Each subject is presented on an A4-sized sheet, with large side aircraft profiles printed on the front, and the remaining artwork, photos and all necessary information laid out on the rear side. This way you not only get some cool decals for your model kit, but also attractive posters to adorn your man cave, at the same time! 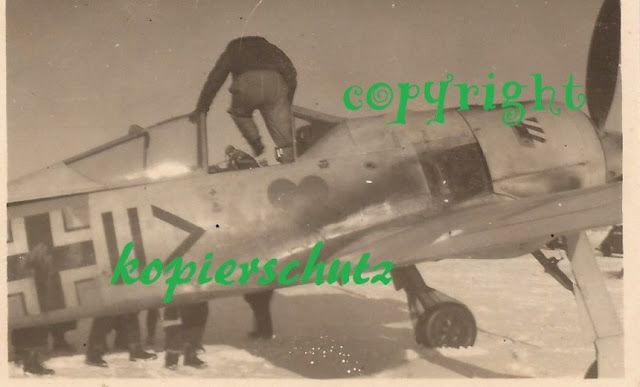 Bf 109 G-6, ‘White 12’, flown by Uffz. 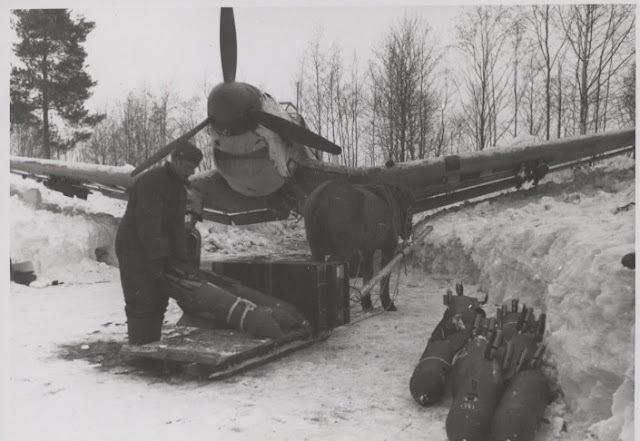 Anton Riemer of 7./JG 77, Mizil, Romania, January 1944. 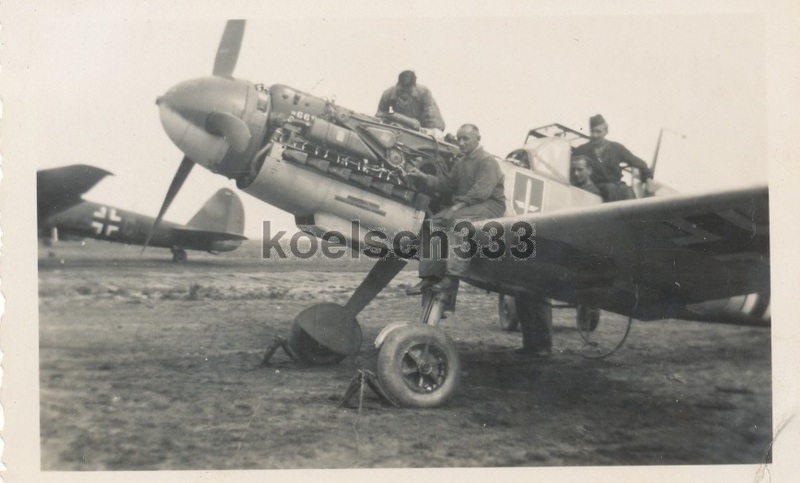 Bf 109 G-6, ‘Black 5’, 2./JG 53, Borovo, Croatia, May 1944. Bf 109 G-6, W.Nr. 166133; flown by Capt. 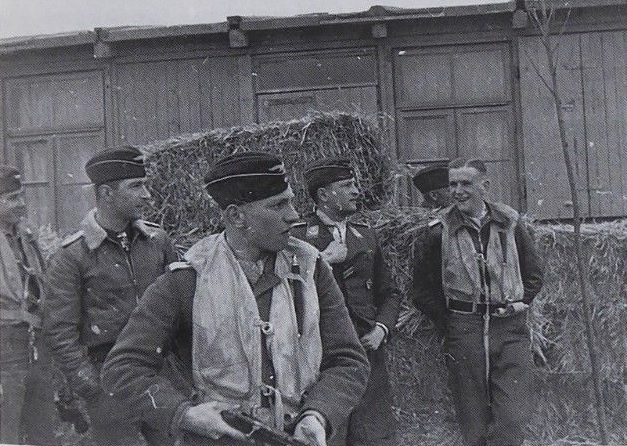 Constantin “Bâzu” Cantacuzino, San Giovanni near Foggia, Italy, 27th August 1944. 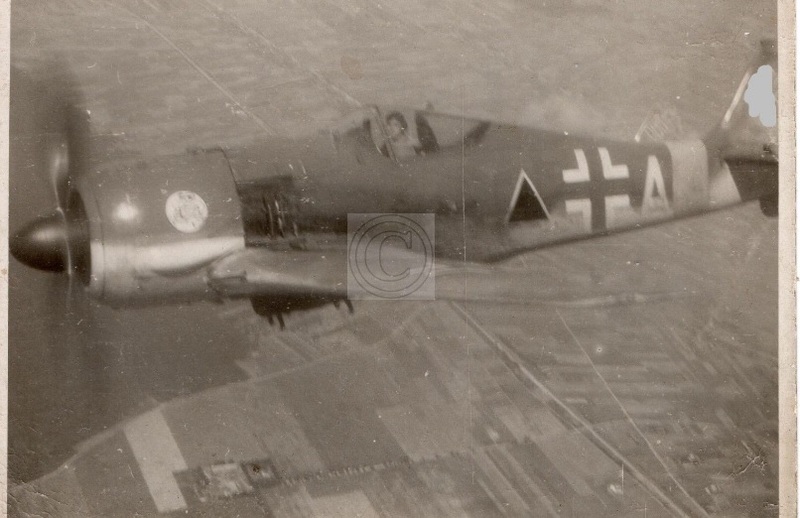 Fw 190 A-3, ‘Yellow 7’, flown by Oblt. 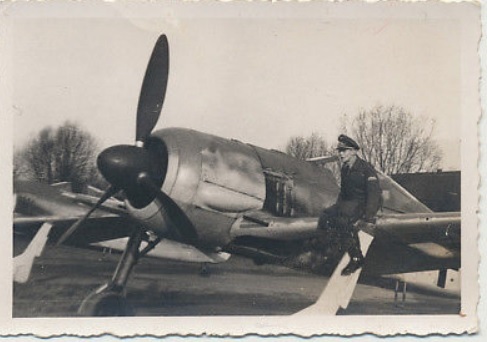 Detlev Rohwer, Kapitän of 6./JG 1, Woensdrecht, the Netherlands, late spring 1942. 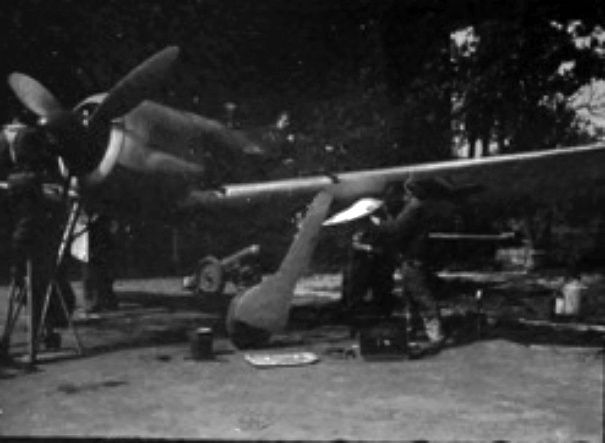 Fw 190 A-4, W.Nr. 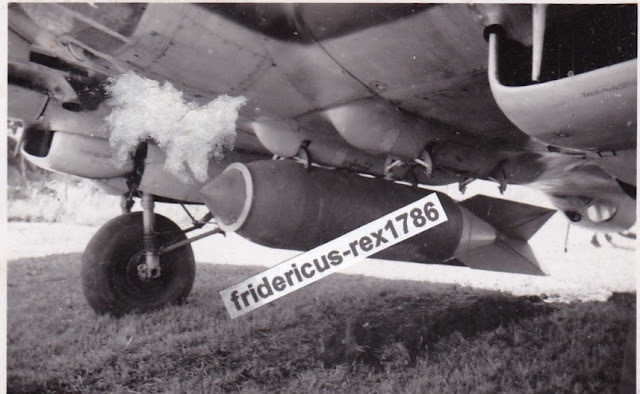 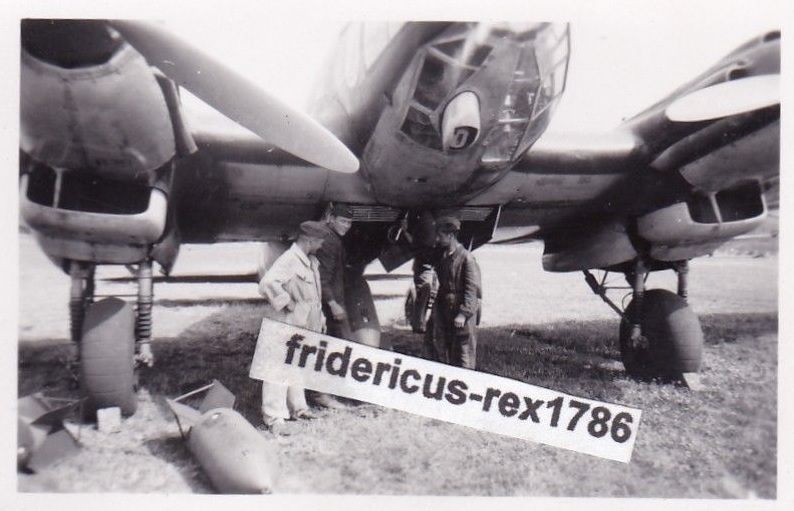 0799, coded ‘SK+OU’, probably belonging to I./SG 101, France, 1943. 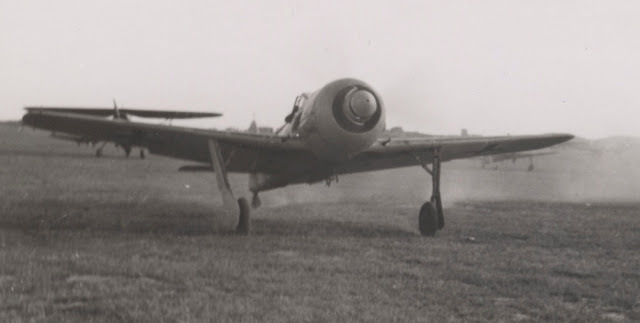 Fw 190 A-5, ‘Yellow 5’, flown by Fw. 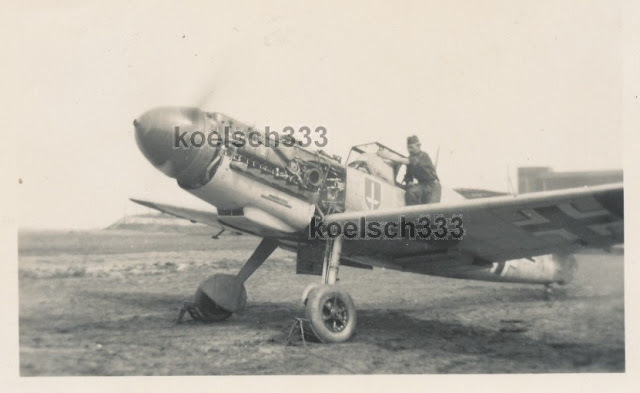 Karl ‘Charly’ Willius of 3./JG 26, Dno, Soviet Union, early April 1943. 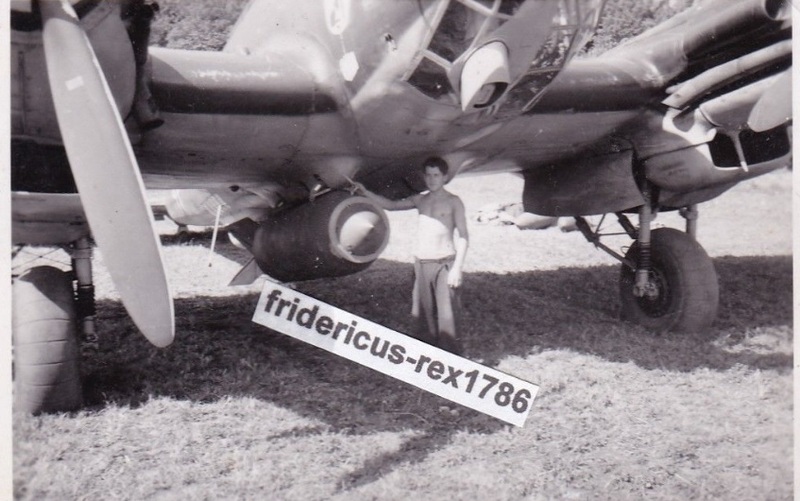 None of these aircraft have been available in decal form before. 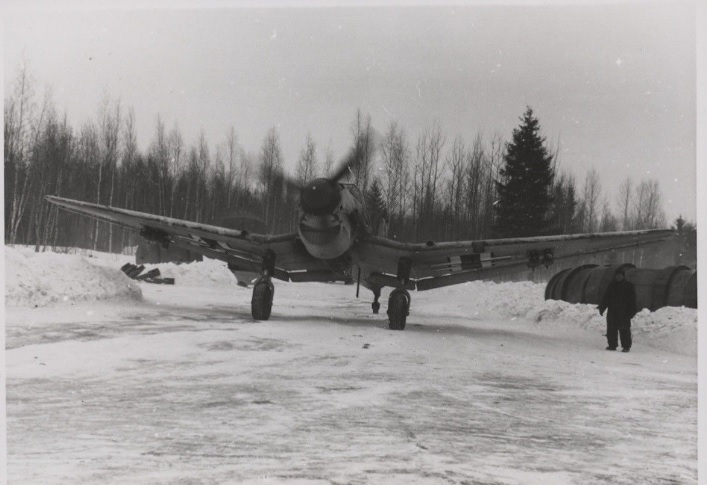 ‘Yellow 5’ is the only documented Fw 190 with victory markings that served on the Eastern Front. Decals include bonus ‘Andrehkurbel’ stencils, which are missing from the majority of kit and aftermarket Fw 190 stencils. 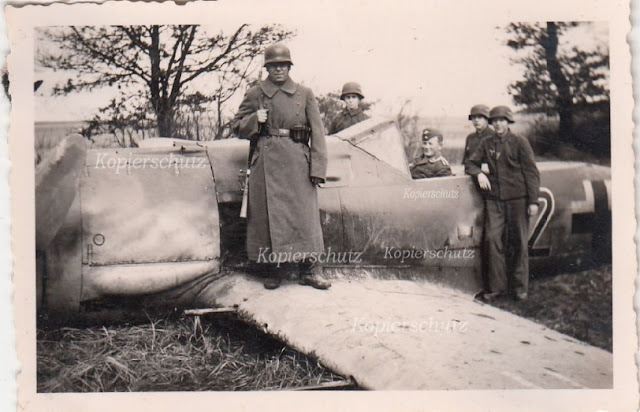 Following my post on Herbert Huppertz (see below) two correspondents have already taken the trouble to contact the Luftwaffe blog. Thank you!
" Dear Neil, ... please find attached another image of Herbert Huppertz, taken in September 1943 by PK-photographer Harry Gehm with Oblt. 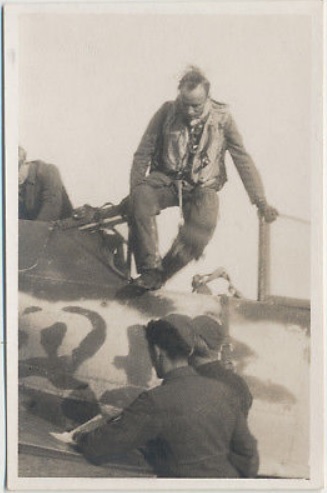 Werner standing on the right hand side, apparently a non-flying officer. This photo is part of an impressive PK-series which is currently on auction at Ratisbon’s for a starting bid of € 10 K, also comprising substantial photo and Propaganda text material covering Army units in Russia in 1942/43 and a couple of shots showing a/c and pilots of I./SKG 10 and III./JG 3 in Normandy in June 1944, although unfortunately only one well known image of a Bf 109 G-6 from III./JG 3. 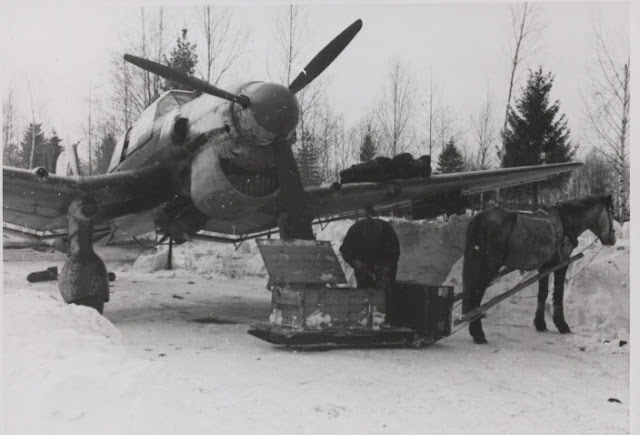 The JG 2 lot comprises some 20 very nice and mostly unknown shots of Fw 190s from Stab I./JG 2 with numerals between „20“ and „26“ as well as some images from III./JG 2, among them two well known shots of Wurmheller and his Fw 190 with the victory tally on the rudder. 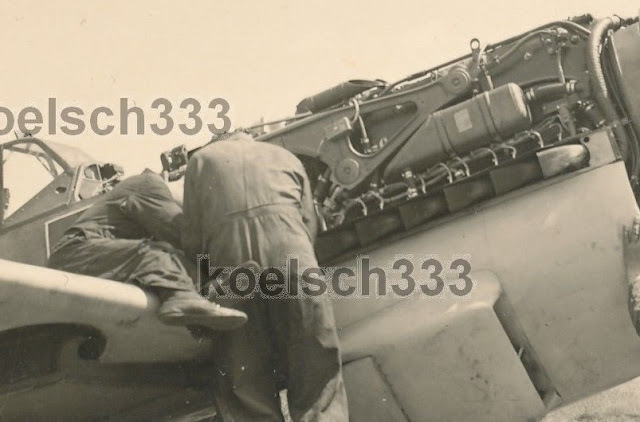 Another sequence shows Egon Mayer inspecting a downed B-17; some of these images can be found in Paul Müngersdorff’s album. 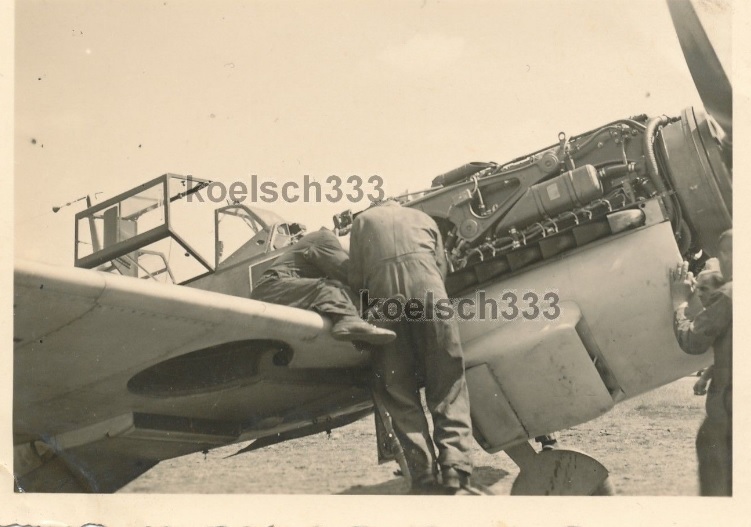 Also part of this lot are several contact stripes containing negative size images, including some very interesting ones but it’s difficult to come to reasonable results from them. 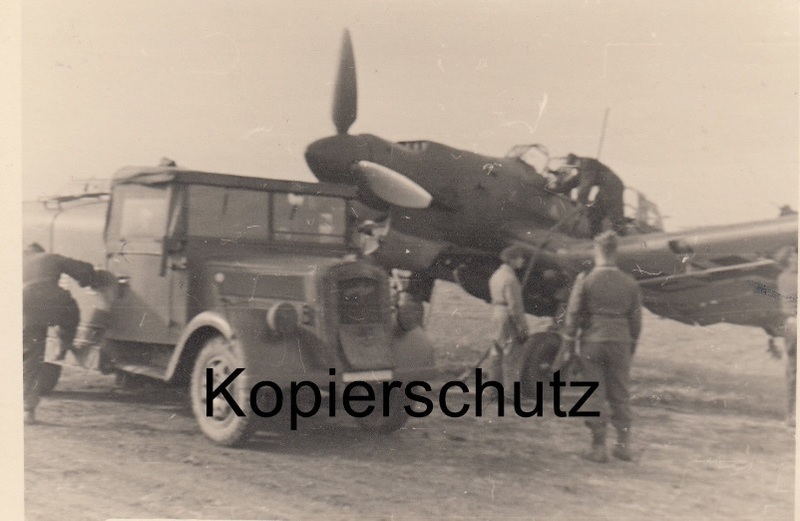 I have attached one sample for you to see what I mean...."
" .. finally, after a long wait, a photo of Hptm.Josef Puchinger. Puchinger was posted MIA on 17 December 1944 over Upper Silesia as a member of the Stab IV./JG 300. 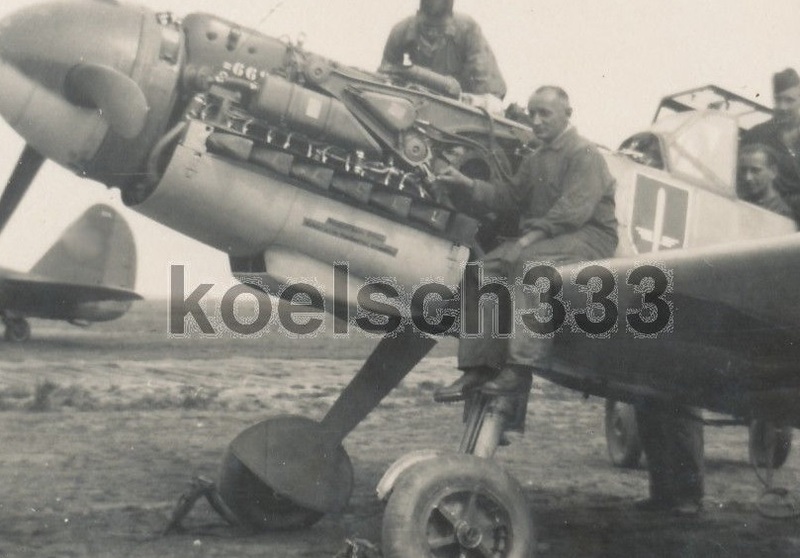 He was likely shot down at the controls of Bf 109 G-14/AS 'blue 3' countering a 15th AF raid on the Blechhammer and Odertal petroleum refineries in the vicinity of Breslau. 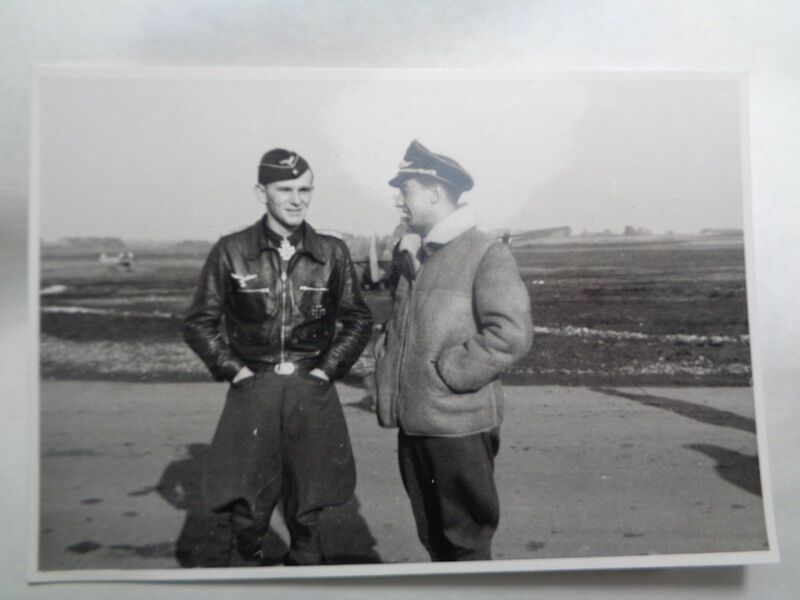 He is still listed as missing. 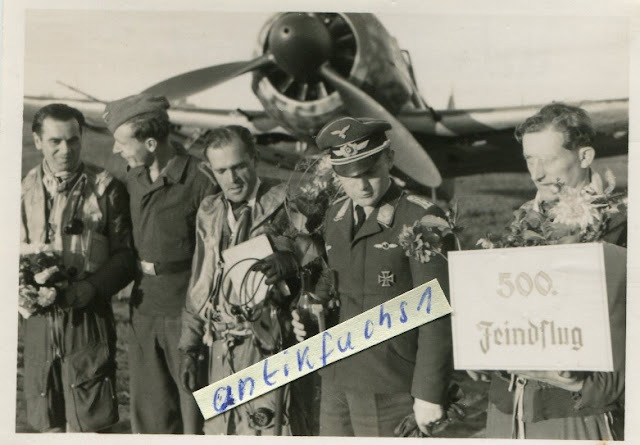 This photo where he is in the life jacket I have had for a long time, but it was not certain he was the only person mentioned, that he was an unknown Leutnant...."
In 1999 Heimdal published a superlative history compiled by Jean-Bernard Frappé -"La Luftwaffe face au débarquement "- detailing the actions of the Jagdwaffe in the skies of Normandy and the Ile de France region around Paris and then again in Provence, after the Allied landings on the Mediterranean coast. 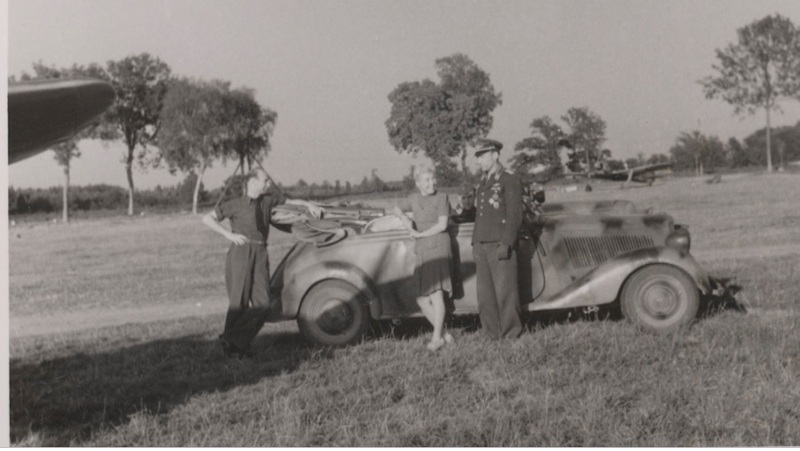 With a wealth of detail and photos the book presented an exhaustive panorama of events. 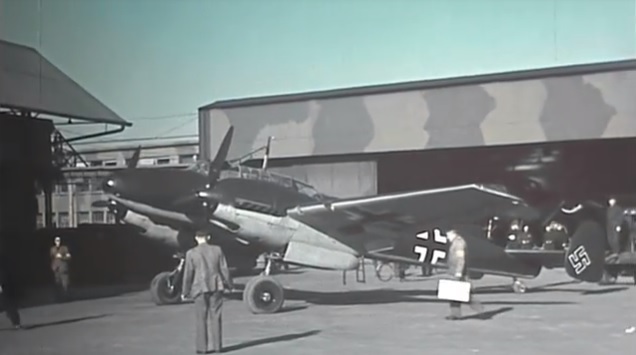 And while compared to the 15,000 sorties flown by American and British aircraft during D-day itself, the Luftwaffe had only been able to organize a little over 300, four days later no fewer than 1,300 Luftwaffe machines, including nearly 500 fighters belonging to some 20 fighter Gruppen were able to mount combat sorties. 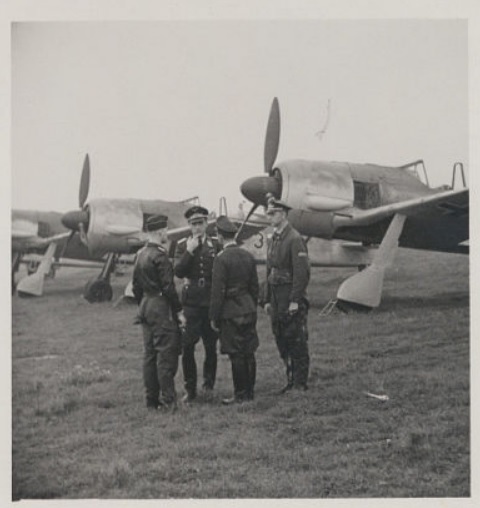 With the Wehrmacht in headlong retreat the largest number of Luftwaffe fighter sorties on the Normandie front was recorded on 20 August with 580 Focke Wulf 190 A and Messerschmitt 109 Gustavs present. 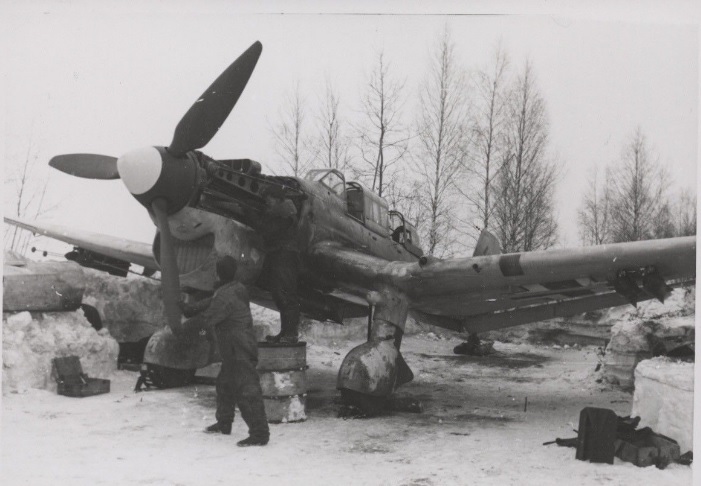 Fighting against overwhelming odds of 10 to 1, German fighter pilots paid a heavy price in blood for their interventions - more than a thousand of them were shot down over the course of many hundreds of air battles against USAF Mustangs and Thunderbolts and RAF Typhoons and Spitfires. 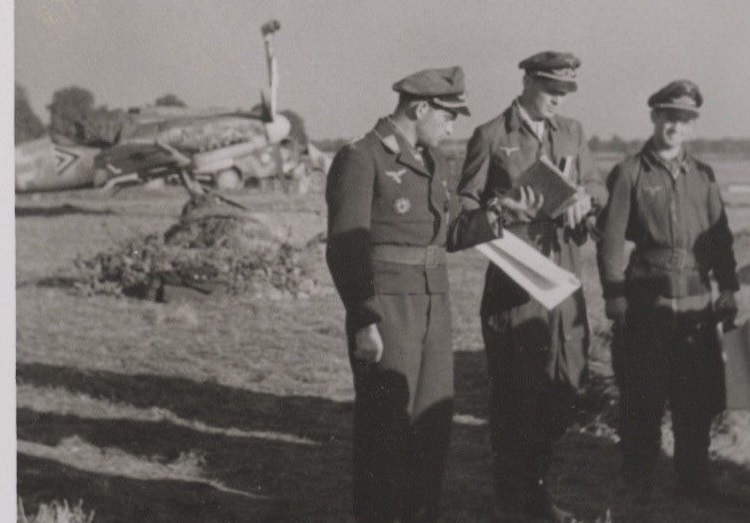 In return for these terrible losses, these same German pilots carried out their duties to the limits of physical and mental endurance - more than 1200 claims for victories were filed between June 6 and August 31, testifying to their determination and courage. 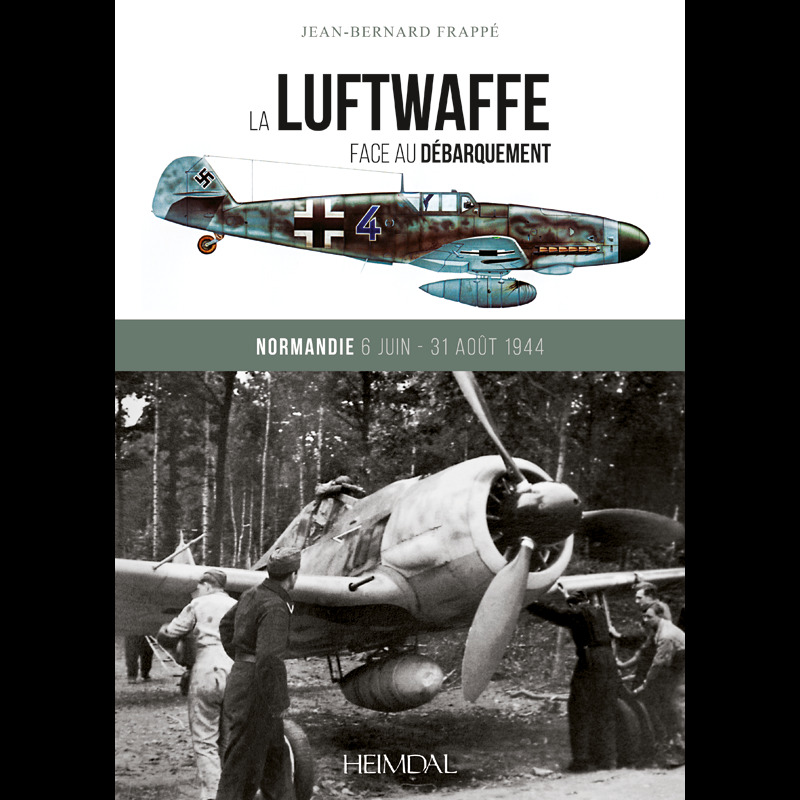 The success of the first edition of Jean-Bernard Frappé's tome "La Luftwaffe face au débarquement " - June 6, 1944 to August 31, 1944 - found a ready readership and nowadays has become difficult to find at a sensible price. 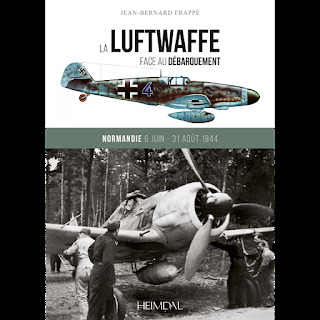 Therefore, some twenty years after the first printing Heimdal Editions have chosen to offer to a new generation of readers, a revised, corrected and expanded reissue, with extensive photo coverage - some images previously unpublished- enriched with dozens of colour profiles representing the Focke Wulfs and Messerschmitt 109s that saw action during that terrible summer of 1944....."
Hptm. Herbert Huppertz was Gkr. III./JG 2 on 6 June 1944. 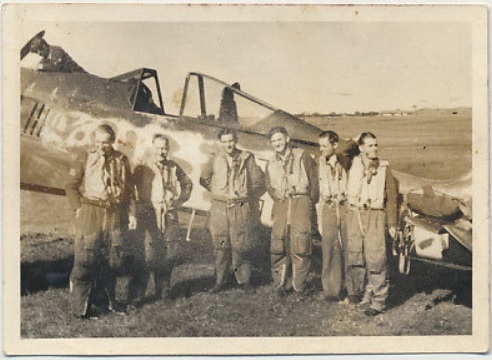 He was one of those veterans that David Clark in his history of the Normandy air battles "Angels eight" qualified as a 'super-ace'. 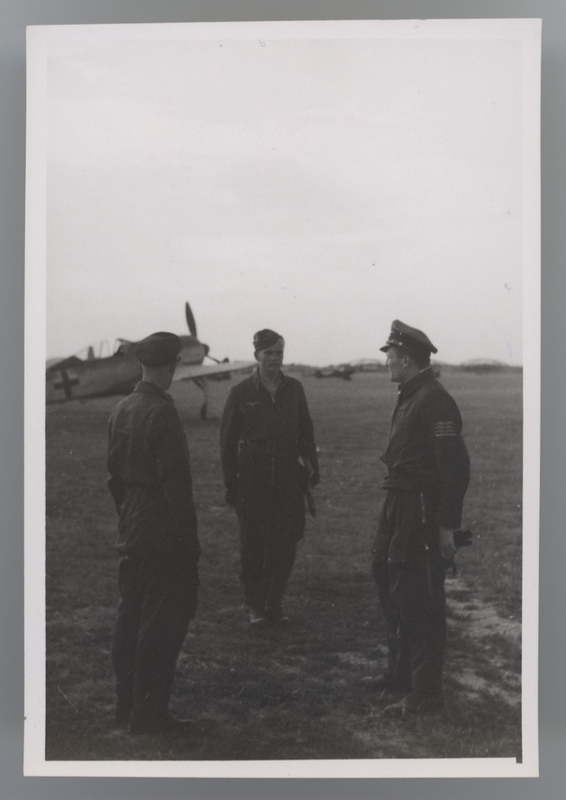 Having claimed his first victory, a Spitfire, over Dunkirk on 28 May 1940 with 6./JG 51 his victory total at the start of June 1944 was around 70 confirmed. Below; Huppertz (right) with JG 51 on the Channel coast.."..am Kanal gegen England "
In the course of another sortie late on 6 June, Huppertz engaged the numerically superior formations of Allied aircraft which by that time filled the skies in the area (on 6 June 1944, the USAAF and RAF conducted 14,674 sorties over the Normandy area - against only 319 Luftwaffe sorties). 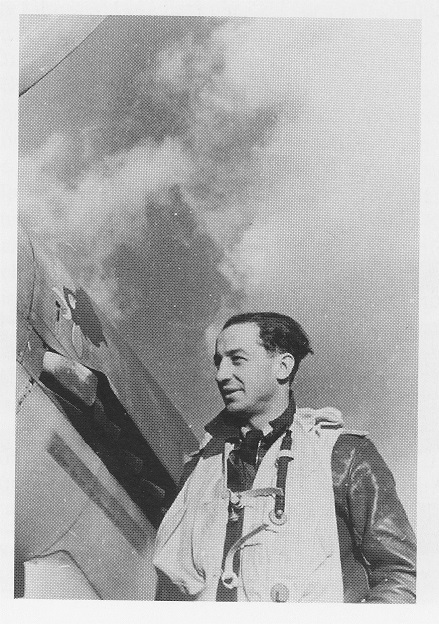 During this single mission, Huppertz was entangled in combat with several Allied fighter units, involving both Mustangs and Thunderbolts, but in spite of the odds he claimed a Mustang and a Thunderbolt. 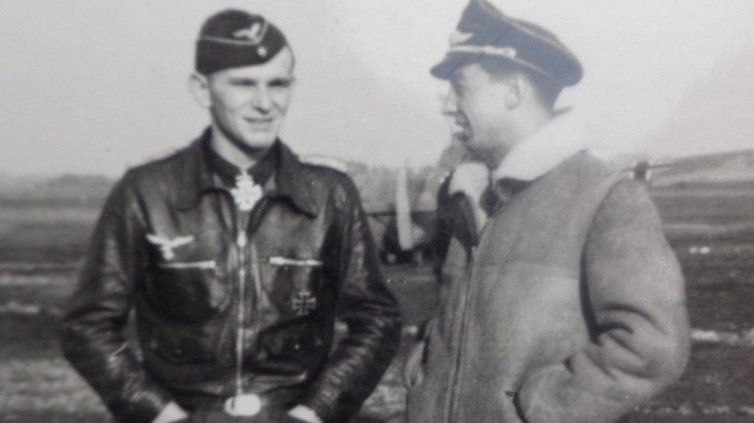 David Clark has identified the former as one of the 352nd FG’s losses. 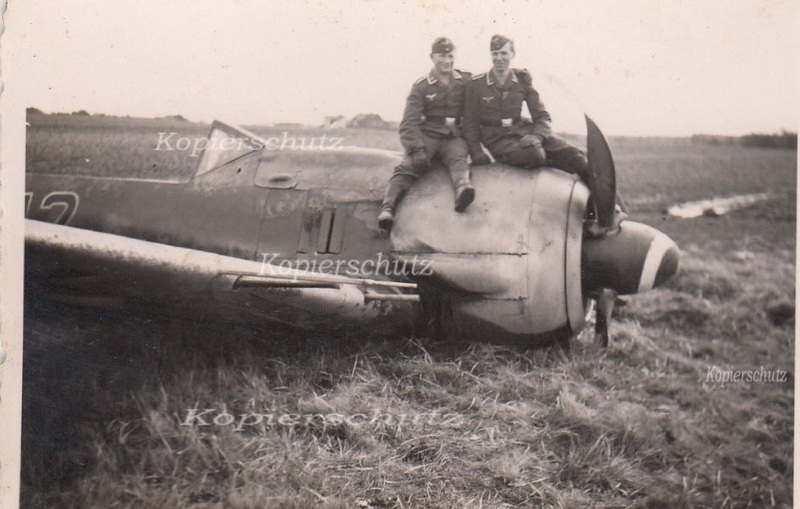 Huppertz thus returned five victories in a single day, 6 June 1944. 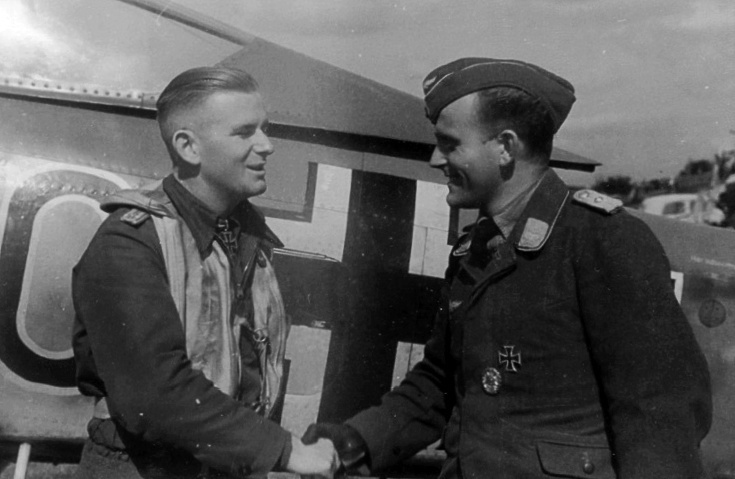 8 June 1944 was a black day for III./JG 2. 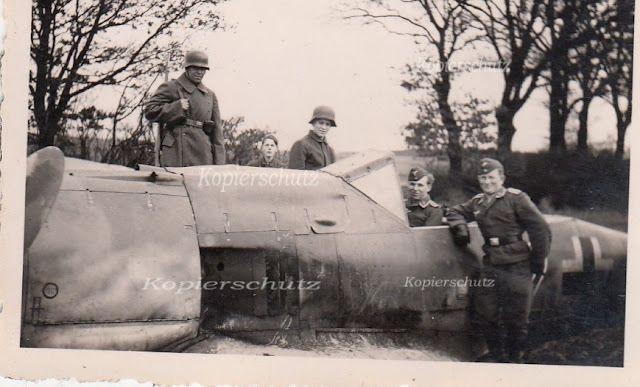 At around 0915 the Gruppe was airborne with around ten machines and were engaged by Mustangs and possibly Thunderbolts around Caen. 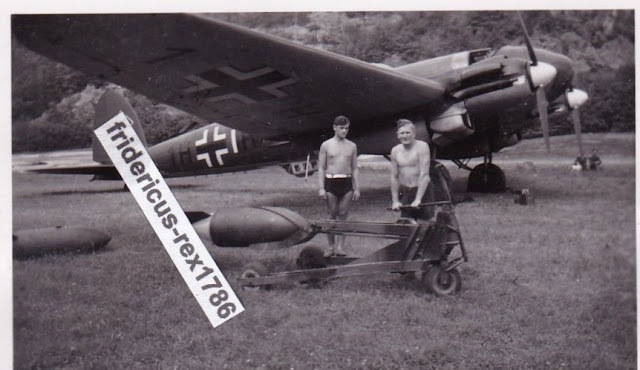 Hptm. Wurmheller claimed one Mustang, while three Fw 190s were shot down - two of the JG 2 pilots were killed - including Gruppenkommandeur Huppertz. 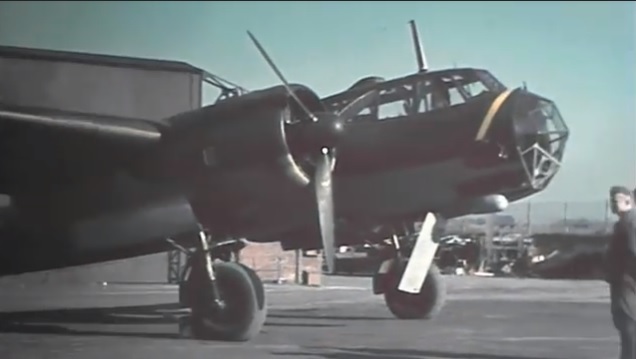 The WASt. 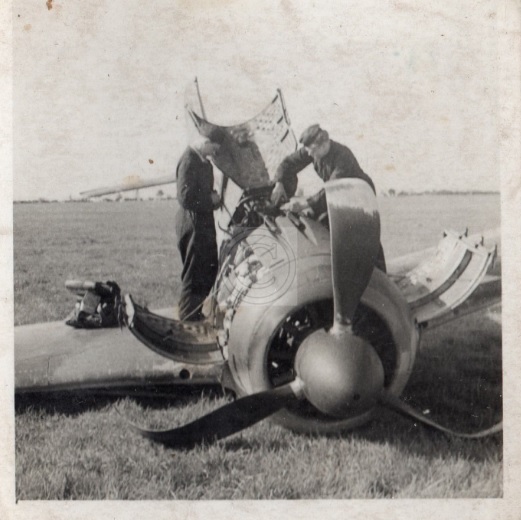 loss report gives the time of this action as 10:30. 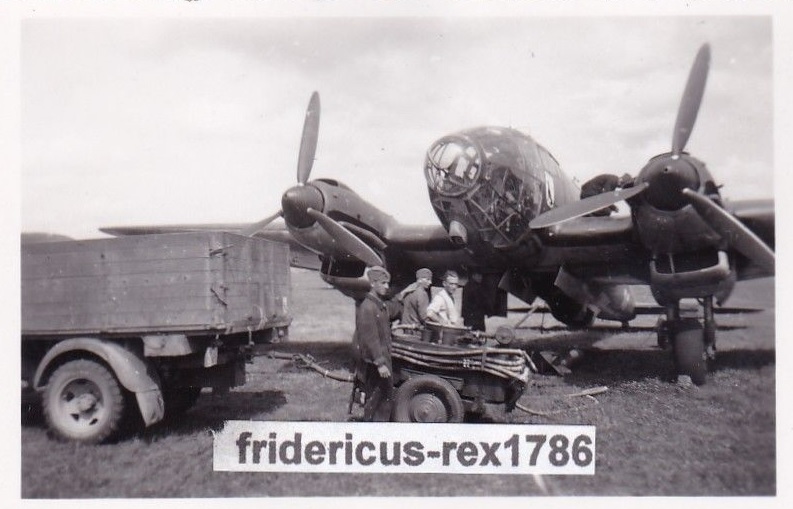 Several 'undoctored' images from the Ritterkreuzträger II./ SG 1 Ernst-Christian Reusch photo series last seen one year ago on ebay. 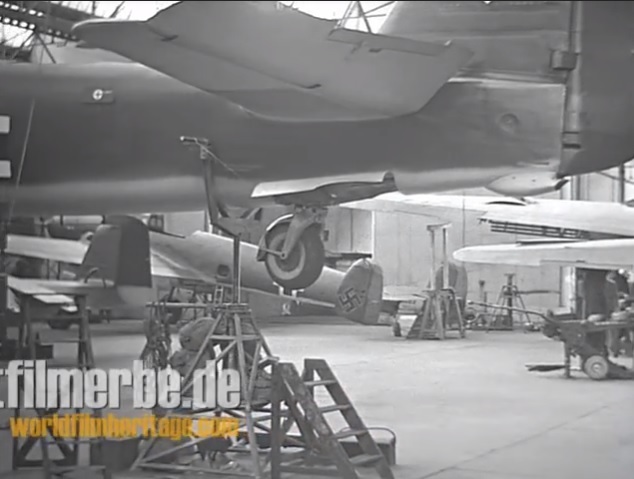 The F-8 of the Kommandeur was 'double chevron A' (small letter'A' just visible in the small chevron) with wing-racks faired over, universal wing (outer wing cannon bulges, no outer wing armament fitted). 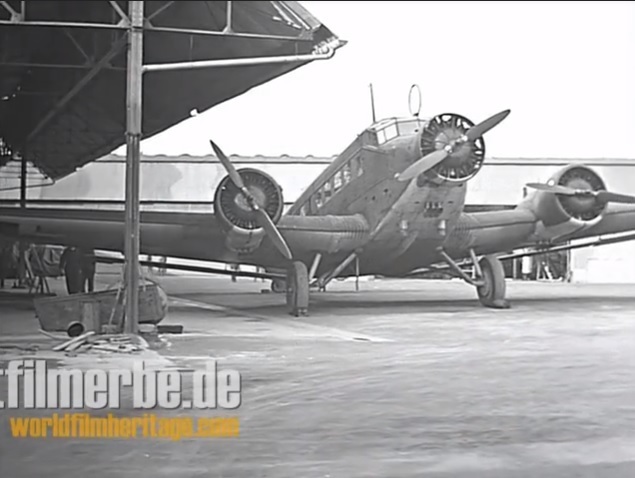 A single click on the image to view LARGE. More 'new' and informal images on offer here. 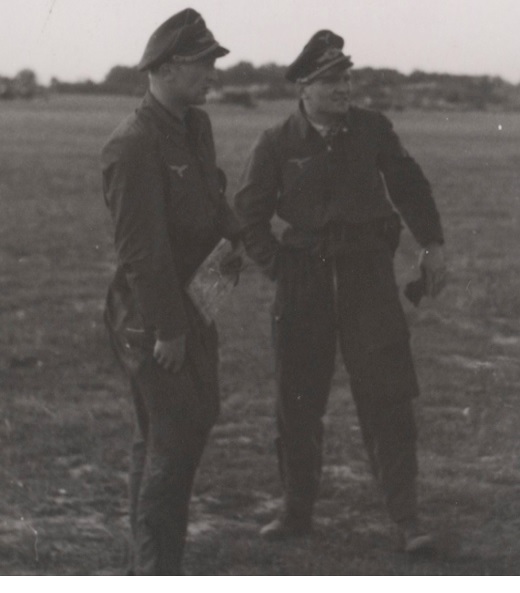 Reusch on the right in the second and third photos below. Exito Decals - "Gustavs over the Balkans" and "Wulf Pack"
Ever heard of Exito Decals? Exito have just launched a superb new line of Luftwaffe fighter decals. Taking subjects seen in previous " Luftwaffe Gallery Special " unit volumes from Erik Mombeeck each sheet features three mostly new and occasionally unusual machines with high-class profile illustrations featured on an A-4 sized 'fact-sheet' for collectors. A step up from the market standard.